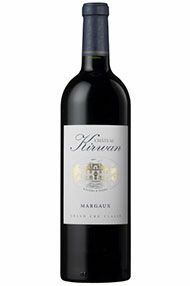 Château Kirwan is a 3ème Cru Classé Margaux property that has hit form in the last decade after years of producing wine not meriting its Cru Classé status. Kirwan takes its name from its Irish proprietor who was, rather unfortunately, guillotined in 1792. 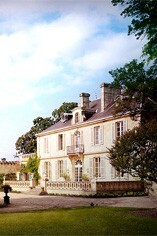 Since 1925 Kirwan has been owned by the négociant firm, Schröder and Schÿler. The property is located in the commune of Cantenac and consists of a beautiful 18th century château and 35 hectares of vineyards. The wine is typically a blend of 40% Cabernet Sauvignon, 30% Merlot, 20% Cabernet Franc and 10% Petit Verdot. The grapes are hand-harvested and then fermented in temperature-controlled, stainless-steel tanks. The wine is then matured in oak barriques (30-50% new) for 18 months. It is bottled after a light fining and filtration. Michel Rolland has been consulting at Kirwan since the early 90s and the wines are now aromatically richer and have more grip and body, as well as displaying much more depth of fruit. Ch. Kirwan has priced its wine extremely keenly this year, dramatically dropping the price to nearly the 2008 vintage level. We applaud this move; it is definitely the right thing to do and, as such, this 2012 represents fantastic value for a top classified Margaux. This estate has made very good progress over the last seven years under the helm of the talented Philippe Delfaud, who was previously technical director of Ch. Palmer. In such a technically challenging year he has managed to retain a lot of freshness and complexity in the wines, and has produced an elegant, fresh yet complex wine which will age effortlessly but will also be rewarding in the short term.